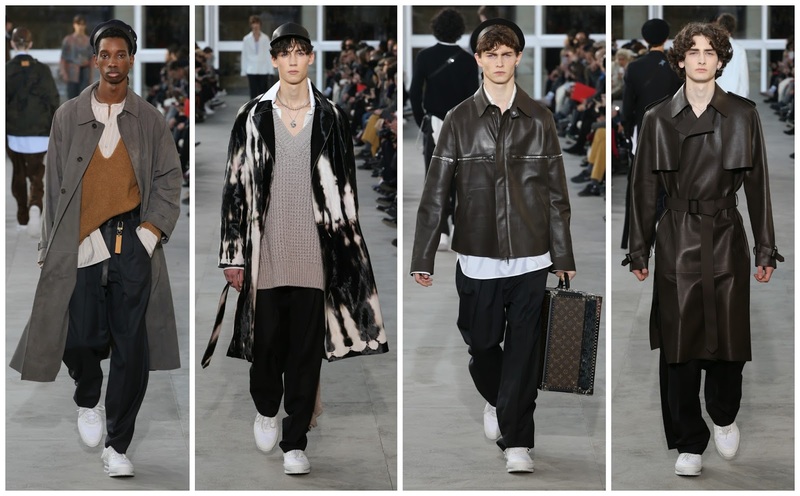 Travel is embedded in the Louis Vuitton menswear framework. Kim Jones keenly observes house codes, whereas Nicolas Ghesquière at womenswear fervently reinvents them. ‘Volez, Voguez, Voyagez’ are symbolically three words intrinsic to the brand. Fly, sail, travel. When founded in 1854, by the eponymous designer, it specialised in trunks—the monogrammed ones that are still synonymous with the superrich today. 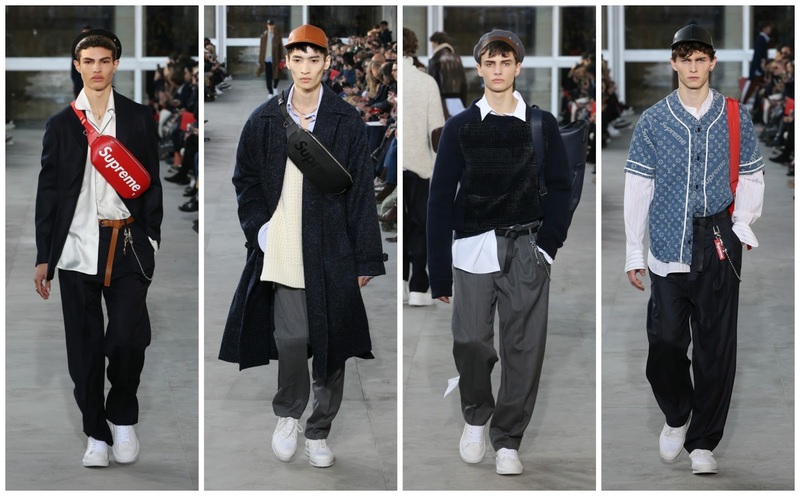 Kim Jones’ menswear takes the audience on a vacation. In recent times there’s been Paris—celebrating the City of Light in the wake of dark times; a Saharan sojourn with a peppering of punk and Paris; Japan, Indonesia, China; India. For Fall 2017, Jones looked to the world’s most populous city: New York. “The dynamic New York culture of the recent past—seventies, eighties, early nineties,” read the press release. Jones was thinking about the “louche seventies decadence of the denizens of Studio 54”, influential artists ranging from Jean-Michel Basquiat, Andy Warhol and Keith Haring, photographer Robert Mapplethorpe and filmmaker Julian Schnable. 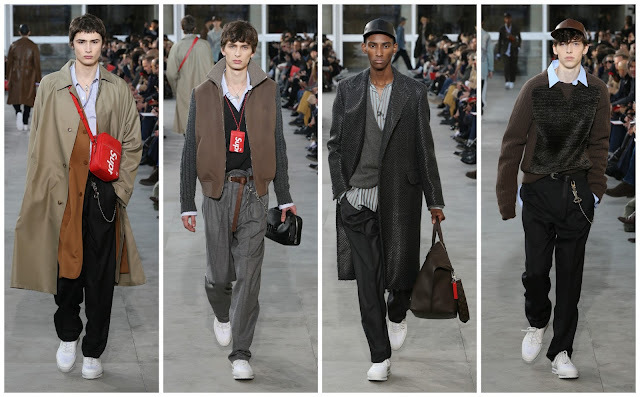 Jones softened his silhouette with the introduction of looser shapes—roomy trousers; flowing cardigans; delineated day coats. One model with his unkempt blond hair looked like Warhol himself, styled in various earthy tones. It contemplated creativity and collaboration. “No New York City men’s conversation is complete without Supreme,” asserts Jones. It was widely speculated prior to the show that there would be a collaboration between the streetwear brand and luxury goods corporation—confirmation came via leaked imagery with the Supreme and LV logo on accessories. The hypebeasts (those who ‘collect clothing, shoes and accessories for the sole purpose of impressing others) of the world will be tripping over themselves to rush to the Louis Vuitton stores around the world. They have time to build up the finances to buy keychains, duffle bags, scarves, backpacks and satchels—or if they have $55,000 to spare: a Supreme x Vuitton trunk. He wanted it to be representative of the success of Supreme, the streetwear brand and the street style phenomenon it started, and the savoir-faire sensibilities of Vuitton. While I loved the loose silhouettes, the warmth to the clothing, I was deterred by the collaboration. This could benefit Supreme far more than Vuitton. The design teams with their accessories expertise crafted leather goods that elevate Supreme’s streetwear aesthetic. What does Vuitton get in return? A younger customer and garner endless clicks online and hundreds of thousands of double taps on Instagram. Is that enough nowadays, when all brands want is more? Jones’ New York state of mind merged lad culture, branded clothing with sophisticated art world references: uptown meets downtown—characteristically Vuitton, one could say.